This background is painted in varying shades of blue, teal and white acrylic blended loosely together. 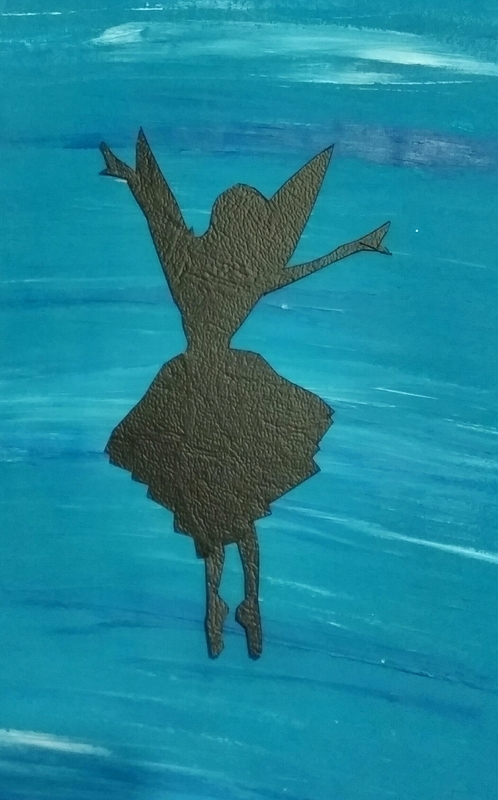 Whilst the paint was drying, I cut out a silhouette of a dancing fairy from a textured black plastic using my craft knife and cutting mat. Then I stuck her on top of the painted background (once it was dry).